The Samsung Galaxy S4 is rumored to be heading to shelves 2013 to replace the Samsung Galaxy S3 – Samsung’s best-selling smartphone. As Samsung Galaxy S3 have already picked up the T3 Gadget Award for Best Smartphone of the Year 2012 and regularly tops lists of the best smartphones available on the market, will its successor – Samsung Galaxy S4 to be more fantastic? This much awaited new phone is being talked hotly these days. On considering this, we’ve prepared a brief summary about the latest news, rumors and speculations about the Samsung Galaxy S4. Galaxy S4 Rumored launch date: Samsung Galaxy S4 launch date rumored to be once again announced at Mobile World Congress 2013 which is set to kick off in Barcelona at the end of February. As it is a perfect time to keep the Galaxy series fresh in consumer’s minds. Another rumor has suggested that Samsung might be announcing the Galaxy S4, in April. If true, it would mean that Samsung would likely be using its own event for the announcement. Galaxy S4 Rumored display: Samsung Galaxy S4 is heavily rumored to be coming with a 1080p unbreakable display at a size rumored to be either 5-inches or 4.99-inches. And Samsung is predicted to showcase this brand new AMOLED display with 441 pixels-per-inch at CES 2013 in Las Vegas. Galaxy S4 Rumored processor: Rumors about many of the Galaxy S4 upcoming specifications remain firmly in the darkness though there are a few that have seemingly emerged from the shadows. The Galaxy S4 is rumored to have a quad-core processor, possibly of the Exynos 5440 variety. Galaxy S4 Rumored camera: the Galaxy S4 is rumored to have a 13MP rear camera, which would be up from the 8MP camera found in the Galaxy S3. Galaxy S4 Rumored OS: one report suggests that the Samsung Galaxy S4 will arrive with Android 5.0 Key Lime Pie on board, which is Google’s rumored name for its latest piece of Android software. 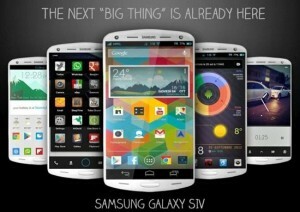 Galaxy S4 Rumored price: It is rumored that smartphone will cost just like its predecessor, while we can expect a slash on the prices of Samsung Galaxy S3. Samsung will look to keep pace with the Galaxy S4 and will do battle with not only the iPhone 5 but the iPhone 5S as well. Though there is no official comment from the South Korea’s tech giant, we believe the launch of Samsung Galaxy S4 would surely send its rival scurrying away in fear. Will it become another myth in Samsung history? Let’s just stay tuned for its coming!